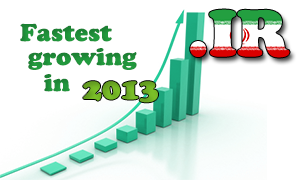 The Iranian country code Top Level Domain has achieved an impressive growth rate of 47% within 12 months. According to the data compiled by CENTR, an association of Internet Country Code Top Level Domain Registries, the country code TLD with the highest growth rate in 2013 was the Iranian domain .IR. The domain has experienced over 47% growth over the period of 12 months. 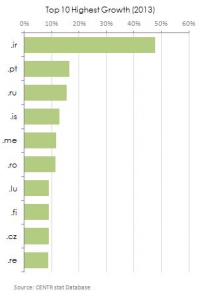 Other high-growth country code TLDs include .PT (Portugal) – 16.4%, .RU (Russia) – 15.5% and .IC Iceland – 12/9%. No major restrictions, so long as domain and applicant are reasonably connected.